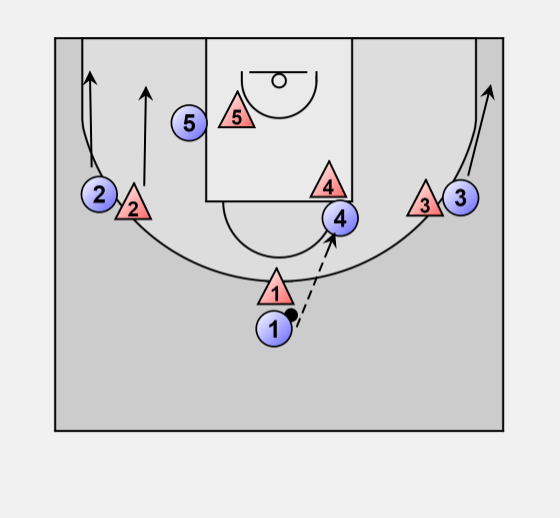 4 sets a "weak" screen for 3 who is over played, goal is to get 4 free. 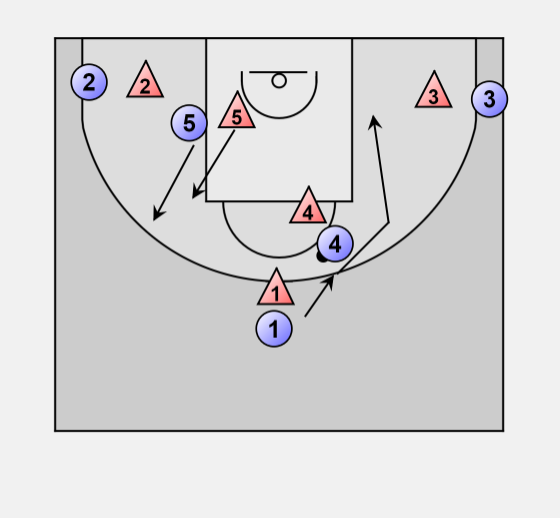 5 sets a screen for 2 and rolls to the low post. 4 is free and receives a pass from 1. 2 and 3 go low. 1 cuts around 4, possible hand off. 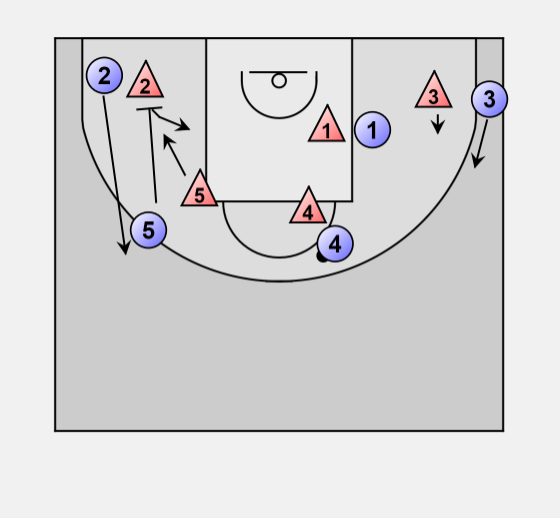 5 sets a strong down screen for 2 and goes back to the low post. 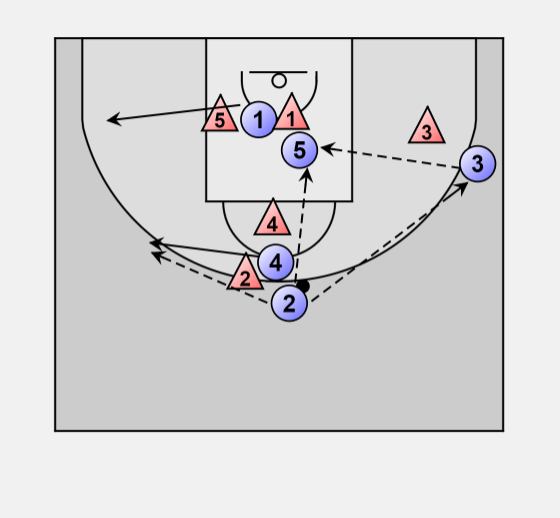 3 moves a bit up, spacing, keeping defender busy. 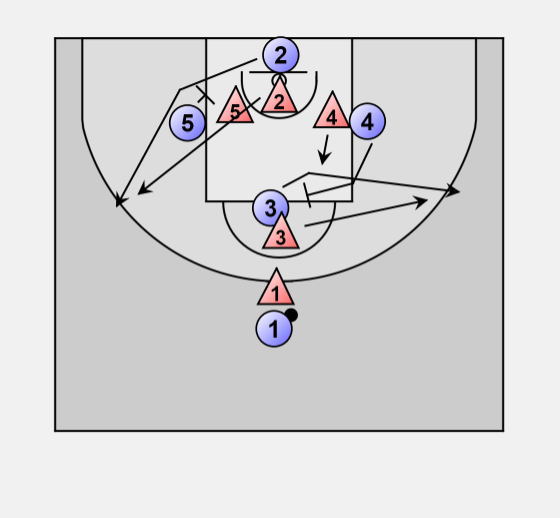 4 sets a dribble screen for 2, hand off between 4 and 2. 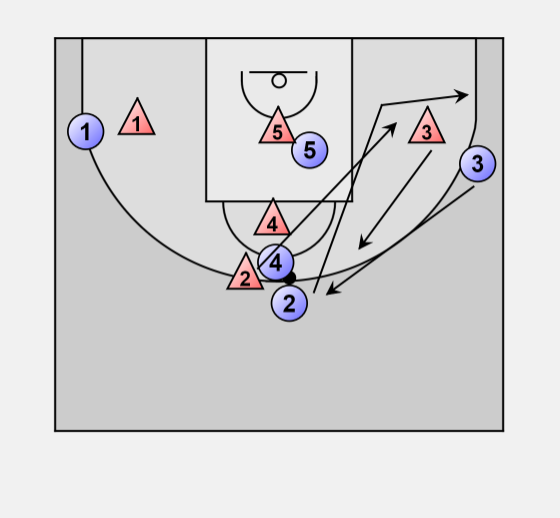 At the same time 1 sets a screen for 5. 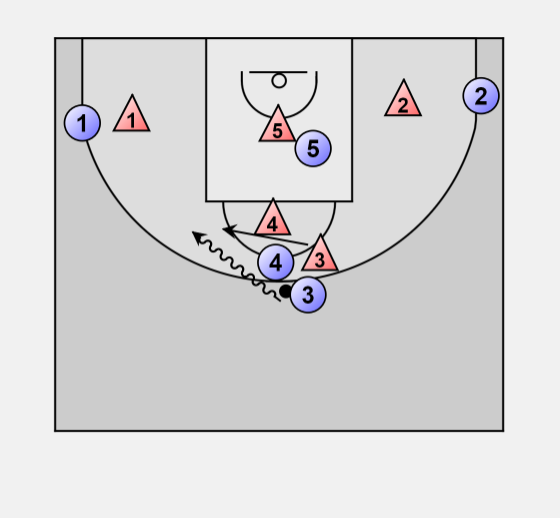 3 outside the 3-point area. 4 stepping out after the hand off. If no hand off between 4 and 2. 3 plays a hand off with 4. 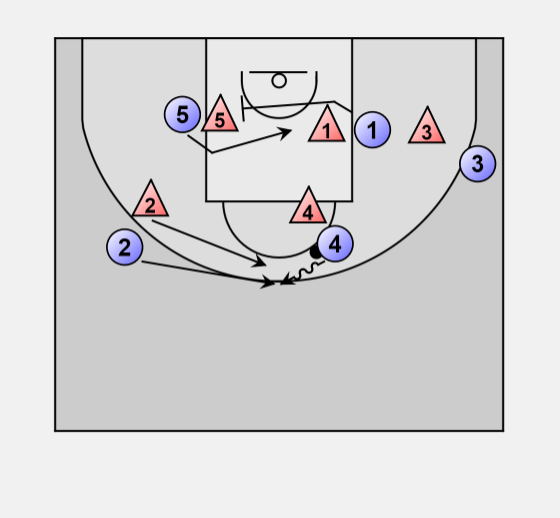 5 sets a screen for 4 and moves towards the basket. 4 uses the screen to get free.